We're going to stay closer to town for this year's Fall Foliage trip. 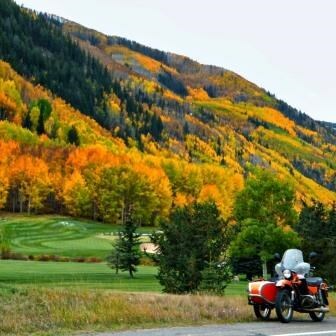 We'll stay in a luxury rental in East Vail while we make day rides in the area. Since we'll be in Vail, those who want to go golfing or shopping instead of biking will have some pretty sweet (and pricey!) options. Cost for 3 nights lodging and most meals will be $260/person. This event was added on 8/6/2018 by an RMBB member and was last updated on 12/28/2018 by an RMBB member.